Saturday, the closing night of the festival and we have pulled out all the stops! We have extended the festival opening hours! With the acts starting at midday instead of 6… you now have even more time to enjoy listening to quality music, sampling some of the fantastic Ales we have to offer, food from our fantastic selection of local vendors or simply laying back on the grass watching the world go by. Our commitment to provide a platform for local music acts to play what could be the biggest stage of their careers, continues this year with 7 acts raising the roof of our big top marquee. This years line up includes some of the best local bands on the scene, including: 1066 Rockitmen, Vexed, Cushty, Suspect, The Coverups, Johnny B & The Kavemen. 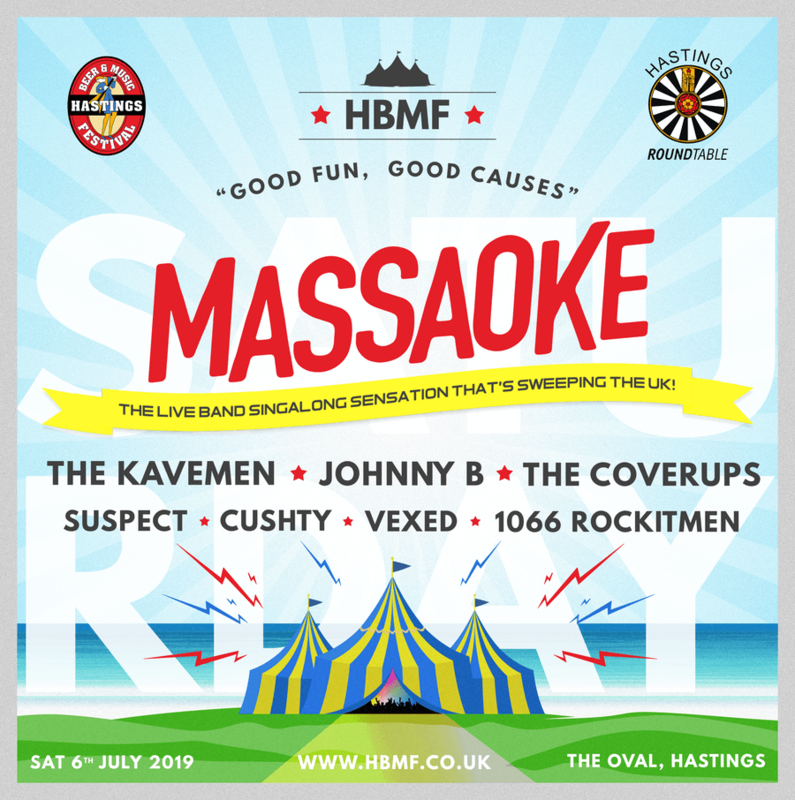 Finishing this year’s festival, a brand new addition to HBMF….we bring you MASSAOKE! What’s Massaoke? An amazing live band plays the greatest pop, indie and rock anthems of all time and the crowd sings along, guided by big screen lyrics. There’s no dreaded karaoke spotlight here – this is Massaoke, where everyone sings and dances their hearts out together in a unique live-gig atmosphere. The result is a euphoric celebration of some of the best songs ever written and an unforgettable night out. Saturday night will sell out, avoid disappointment and book your tickets as soon as possible.